Hi everyone! 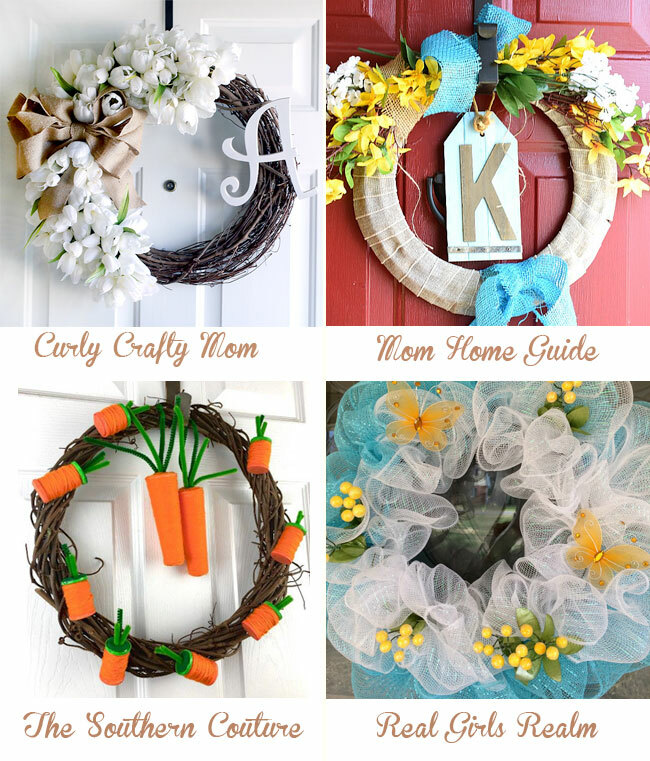 Welcome back to the second month of 12 Months of Wreaths! 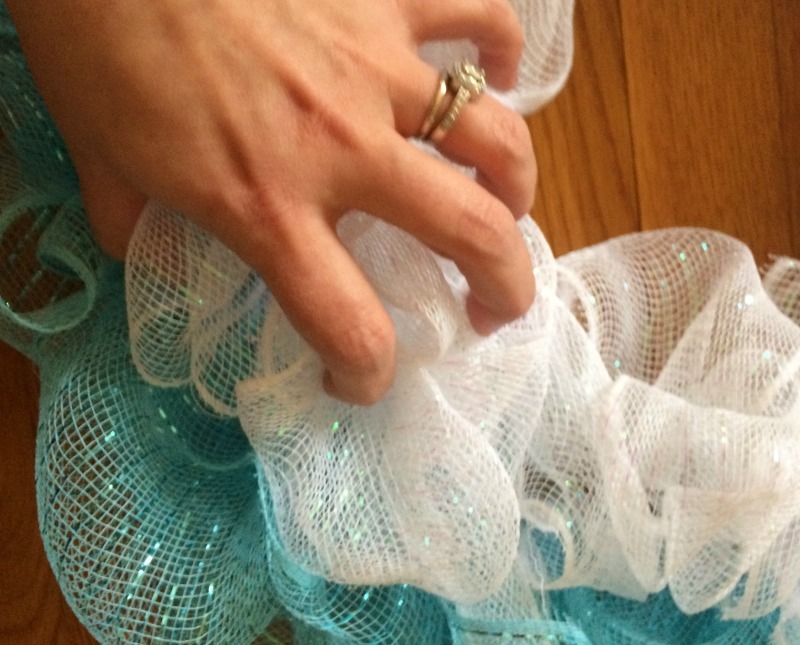 I am excited to be joining my friend Carrie at Curly Crafty Mom as a co-host this month! I am sharing my first attempt at a wreath that was not a Pinterest fail! 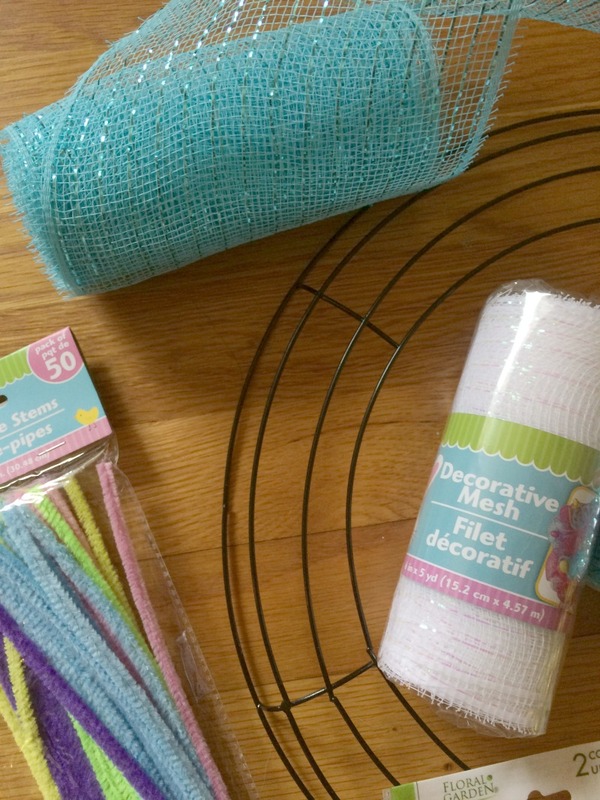 I got all of my supplies at the Dollar Tree and spent a total of $8 on this pretty deco mesh wreath. I have been wanting to make one of these for a long time, after seeing them all over Pinterest and in stores, but was intimidated. After watching several Youtube videos, like this one, I decided to try it myself. Let's get started on my wreath for the month! Here is what you will need. 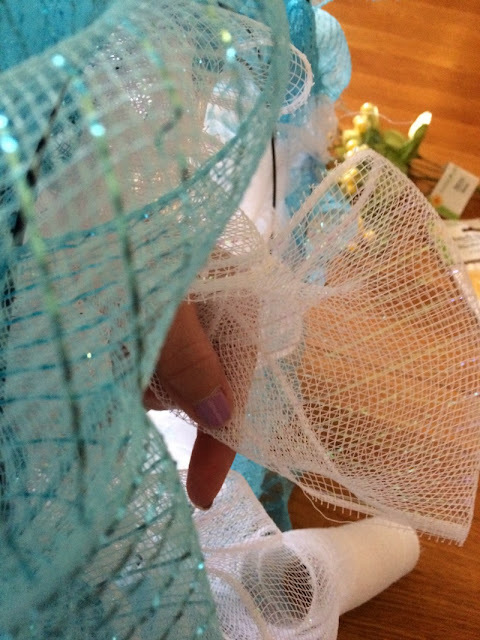 You can customize the mesh colors and embellishments for any holiday. 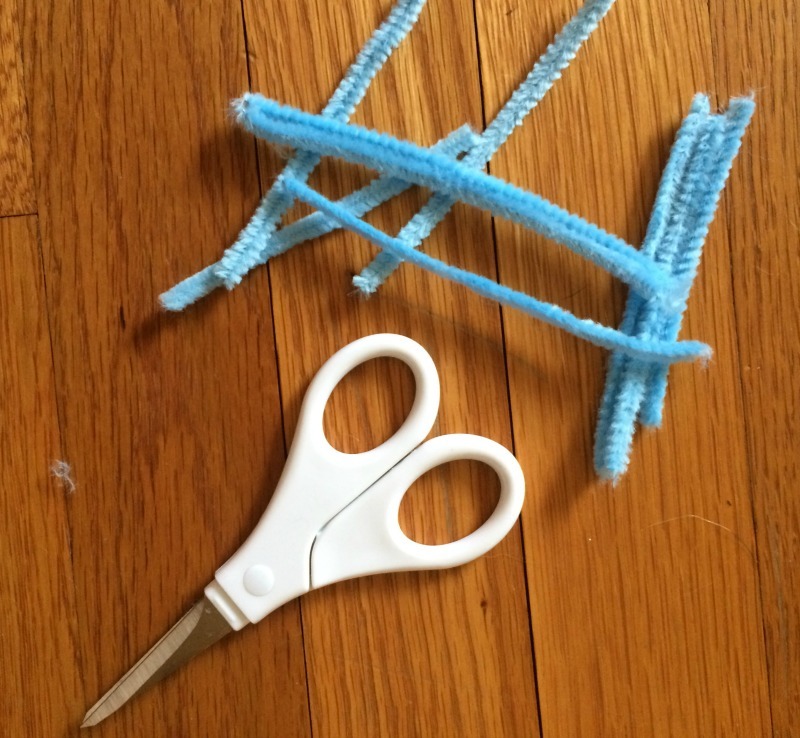 Cut 3 or 4 of the pipe cleaners into thirds. These will be used to stabilize your ribbon. I went ahead and twisted a few of them around the outside of the wreath before I started. 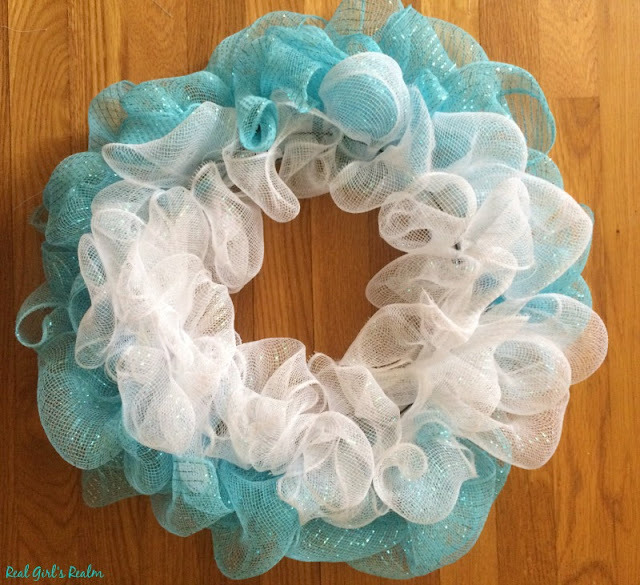 I used 4 packs of mesh in 2 colors; for a fuller wreath, you would use more ribbon. 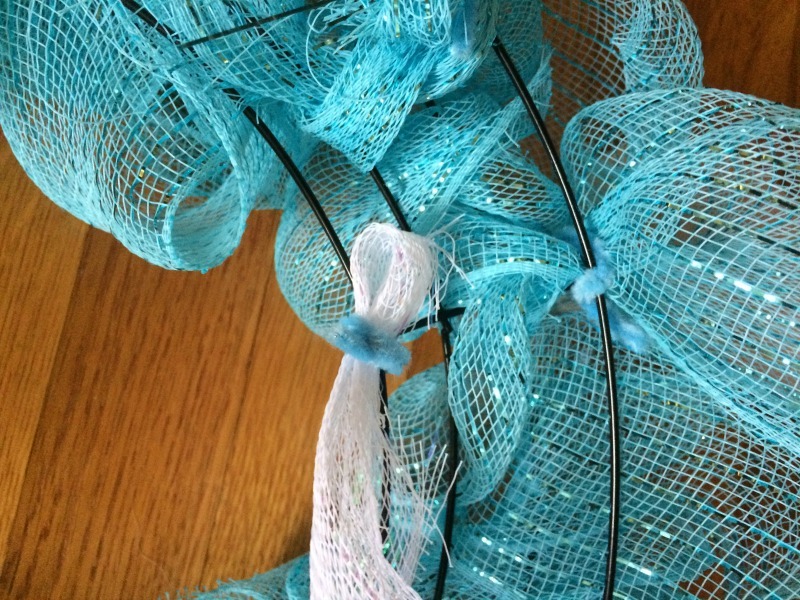 To start the wreath, use the pipe cleaner to secure the end of the mesh ribbon to the outside rim of your frame. Pinch a few inches in your fingers, make a loop, and push it through the outer edge. Twist once and repeat process, pulling it through the middle ring. Since I am using two colors and want the white on the inside, I am leaving it open for now. 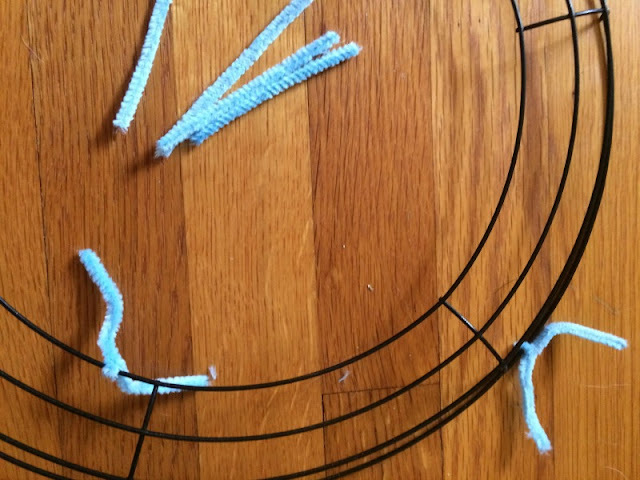 Continue pinching the loops and alternating between the outer ring and middle ring. 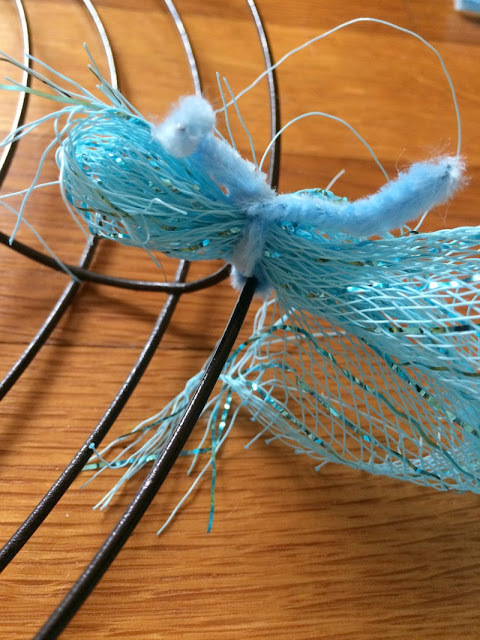 Once you come to the end of the deco mesh, secure it with a pipe cleaner and begin with a new roll. Once I completed the circle with the white ribbon, I laid the wreath on the floor and worked the mesh so it looked even around the whole wreath. You can also scrunch (I believe that's the technical term) it with your hand to fluff the mesh ribbon. 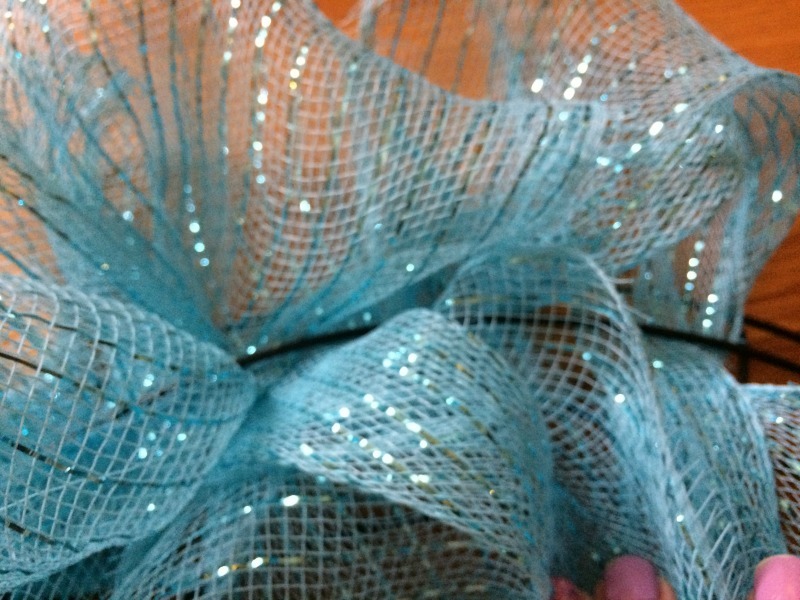 I then cut the spray into several pieces and arranged them around the wreath by bending the stem thru the wire frame. 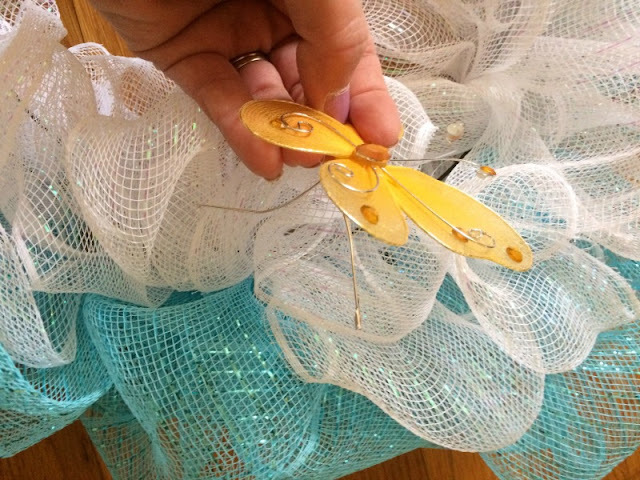 The butterflies had a twist tie back, which made it easy to loop them through the deco mesh. 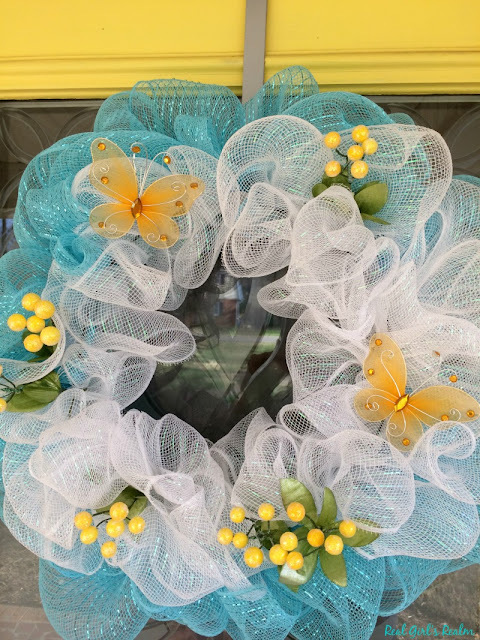 This pretty Spring deco mesh wreath is the perfect addition to my bright yellow door! 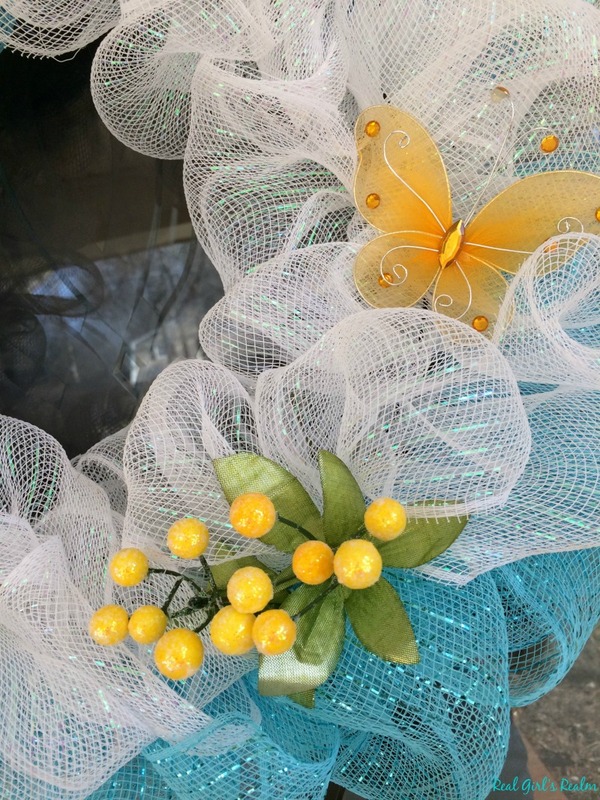 Have you ever used deco mesh to make a wreath? What colors would you use? Hi! Thanks for co-hosting this month! I love how your wreath turned out. The bright and happy colors are perfect for spring. I got the supplies for my wreath from the dollar store, too! Thanks for having me! 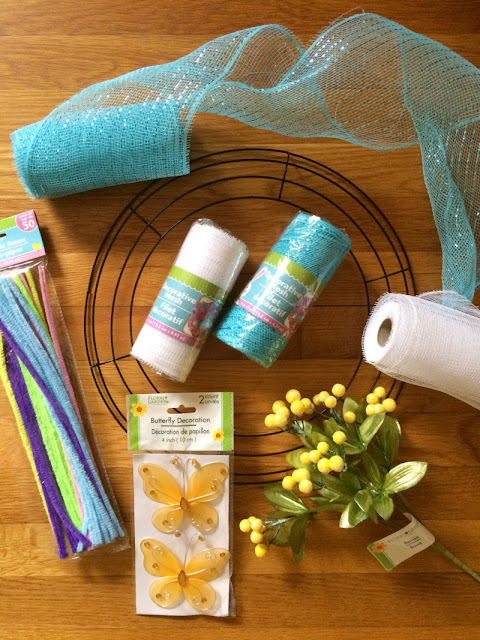 I love the Dollar store for craft stuff! Thank you Carrie! Yes, my door is yellow and I LOVE it! I just bought a grapevine form, so I will try to join you again soon! You used such pretty colors for spring. Love the yellow flowers they are a sweet touch! Thank you Wendi! I love this color combo too!